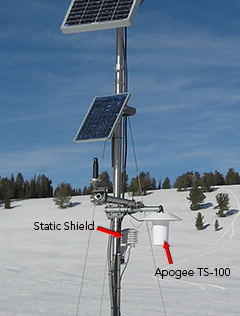 The TS-100 has been deployed for the past year on a weather station at a record-setting cold location in the contiguous United States - Peter Sinks, Utah. It is used to accurately measure the extremely cold air temperatures that occur at the site. The Peter Sinks site uses two yellow-bead thermistors and two PRTs in an Apogee TS-100 to make replicate measurements. 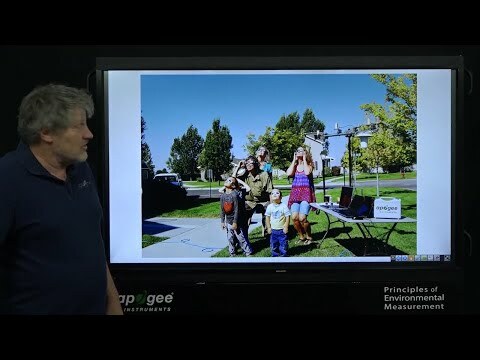 Note the Apogee SP-230 all-season pyranometer in the picture as well. A webinar of the TS-100 with more information on the Peter Sinks site can be found here. The Peter Sinks information starts at approximately 15:25. Used on a weather station at a record-setting cold location-Peter Sinks, Utah.